The Latest Edition of the Specialised Orthotic Services News Letter is now available for download. 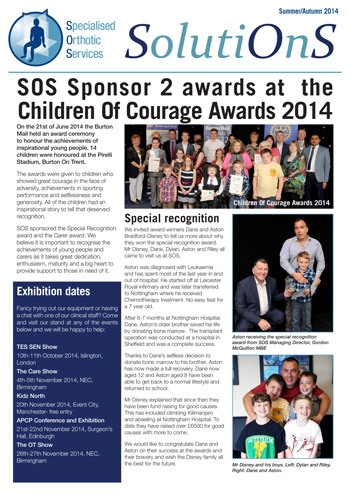 Inside this issue you will find an article about the Children of Courage Awards 2014, our exhibition dates, the Oxford Course and training for our clinic managers, the latest photos from our client photo-shoot and more. If you would like a printed copy, please contact us and we will send one to you.